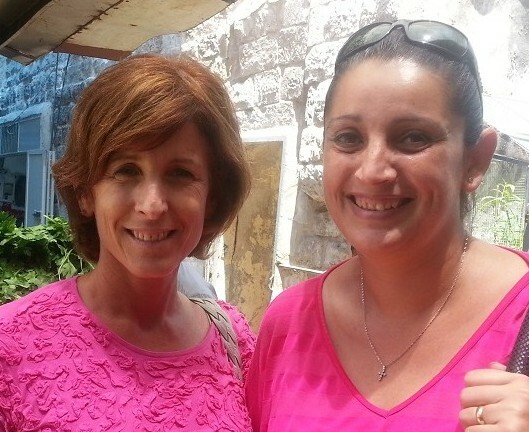 In 2010 Elisa Moed and Christina Samara, co-founders of Breaking Bread Journeys, met as invited participants on the Holy Land Marketing Cooperation panel—created and directed by the Office of the Quartet Representative Tony Blair. Realizing they shared a business and social vision, they resolved to combine forces and offer balanced tourism programs, unique in content that can spur economic development and cooperation and increase tourism to the region. The result was Breaking Bread Journeys, a new tourism concept marketed with the support of the United States Agency for International Development under the Compete Project in the West Bank, which emphasizes economic development, including tourism, as a path to peace and stability. Five sample thematic tour programs designed primarily for tour operators and other organizations around the world that wish to provide their clients and communities with exemplary tours using our distinctive cooperative approach which includes daily ‘breaking bread’ experiences. We very much hope to hear from trade professionals so that we can work with you to provide unparalleled Holy Land travel programs that also build bridges while breaking bread. Elisa Moed is a 25 year tourism consulting veteran and graduate of the University of Michigan with an MS in hospitality management from Florida International University. A Detroit, MI native, Elisa first visited Israel as a participant in a summer program in 1976. Through her employment with Laventhol & Horwath and, later, her own firm, Moed & Co., Inc, was a consultant to some of the world’s leading tourism, hospitality and financial companies including Marriott, Club Med, HVS International, Four Seasons, Fidelity and many more. After permanently moving to Israel in 2005, she was engaged by a number of local organizations and hotels including the American Colony, Pontifical Institute of Jerusalem, Magdala Center, Christ Church and others. She launched Travelujah, in 2008, which has since become the leading Christian social travel network focused on travel to the Holy Land. Christina Samara possesses over 20 years of experience in organizing high quality travel services to pilgrimage and educationally focused groups visiting the Holy Land. A Palestinian Christian born and raised in Jerusalem, Christina obtained a degree in travel & tourism from the United States and returned to Jerusalem in 1991 to lead Samara Tourist & Travel Agency, her Jerusalem-based family business . Christina holds several specialty degrees and licenses in tourism and is a recognized expert in Holy Land tourism. She was a formative in the establishment of the Holy Land Incoming Operator Association in 2005 and held the office of Board Chairman in 2010 – 2012. She remains a board member of the association. Her company, Samara Tourist & Travel, is one of the most established tour operations in the region and for the past 50 years has been a recognized leader in the development of the Holy Land tourism industry.